I'm back today with another project for Butterfly Reflections, Ink Blog. If you haven't checked out their store yet, you need to hop on over and check them out! Great store, great owner, and super fast shipping :) You can get to the store right HERE. When I first saw the phone on the Pink Paisley Switch Board Stamp and Die set, I knew it was a set I needed in my collection. So I decided to make the telephone a focal point in my card. I decided to use some Memento Luxe Inks to create a row of telephones. I first stamped the telephone on a post it note and then fussy cut it out. I then stamped the first phone in pear tart, layer the post it note mask over it and then continued the process and stamped in various colors. I wanted the navy blue to really stand out, so I used the die in the set to create a window. To give it a little more interested, I covered the navy phone in glossy accents. I also added some other stamps from the set onto the front of my card, along with an enamel dot. I wanted to keep the inside of my card pretty simple but wanted to finish off the outside greeting with a "hello" speech bubble and heart. Hope you all enjoyed this bright colored card! You can find links to all of the items used on this card below and they will lead you directly to the store. Just stopping by quickly with the video of the Magnetic Bookmark that I created on Day #1 of the Scrappy Mom's April Release. I apologize for the delay in having this uploaded but with the holiday weekend, it too a little longer to edit. Butterfly Reflections, Ink -- Love you Tons Mini Cards! Hello Everyone! Hope you guys are having a great Sunday! Today I'm featuring a couple of mini cards over on the Butterfly Reflections Ink Blog today. I love including little cards or notes into the hubby's lunch box every once-in-a-while to bring a smile to his face during a hard day :) And once Kirie is old enough for school (not that I'm rushing it! lol) I'll be including them in her lunch box too!! The cards were created using quite a bit of Lawn Fawn products (which will be listed below). I cut some fringe in green paper to create grass for my cards. I then stamped the imaged on some of the paper paper in Lawn Fawns Bright Side 6x6" paper pad and fussy cut them out. But a much easier way would be to die cut these images with the coordinating dies. Hope you guys enjoyed these quick and easy cards to create to send a sweet, quick message. Thanks for stopping by and I'll see you back here soon! 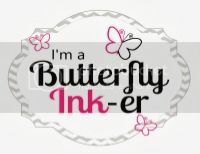 Be sure to check out the Butterfly Reflections, Ink Store for some great products that are currently marked down by 20% and 40%!!! Today I'm featuring Catch the Reading Bug set again. This time I created a corner page book mark. I've seen a ton of these that are really cute critters but I wanted to make something that was 'not so kid-ish". I really like how this turned out. Hope you guys enjoyed all the projects created by the design team for this release! Hey Everyone! Hope that your day is going well....our home has been under a virus for the last week and a half. The hubby had it last week, the baby has it now, and I'm hoping that I some how got a free pass and won't catch it! Onto my project for today. 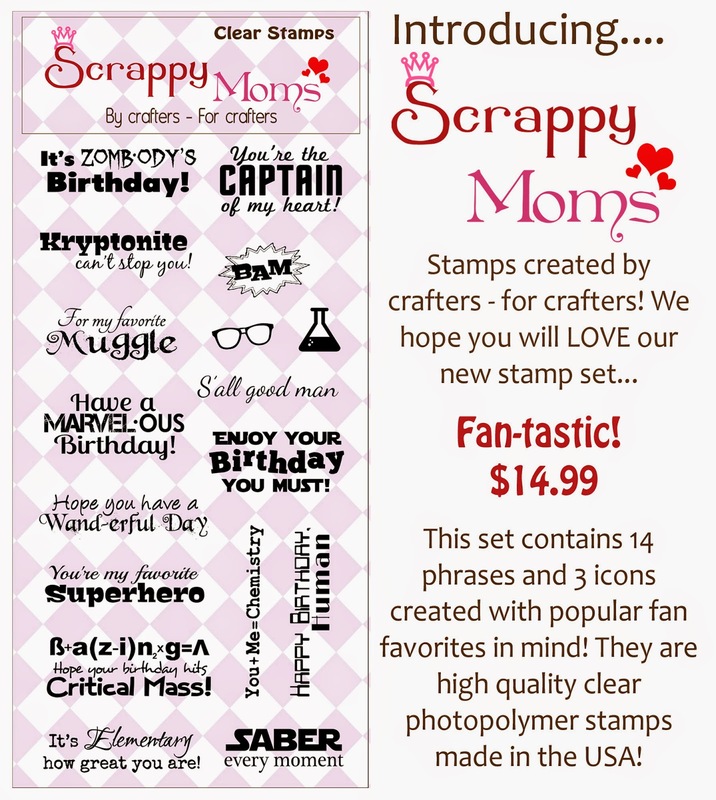 Today I'm showcasing one of the new stamp sets released by Scrappy Moms this month called "Fan-tastic". If you happened to miss my post a few days ago showing the 2 brand new stamp sets, you can see them both down below. My husband is a HUGE Star Wars fan and when I saw the 2 sentiments that were Star Wars related, I knew that I had to create a project with at least one of them. So I decided to create a birthday card and while I was making it, my husband happened to walk by my desk and was amazed at the card. I found Yoda and Darth Vader silhouettes by doing a basic search on the internet, opened them in my silhouette software and cut them out with my silhouette machine. I created the party hats with a a basic triangle stamp and just used some copic markers to create fun stripes and dots. And I used a fine tip black marker to create the curling at the top of the hats. I finished the card off with some faux stitching around the card and some random dots on the silhouettes. I hope you guys enjoyed this card! Be sure to check back soon for another project featuring these newly released stamps! Today, I'm creating a Textured Thank You Card creating some products that are carried in the Butterfly Reflections, Ink Store! If you haven't checkout the online store, you can find it HERE. I just recently got my hands on some Wendy Vecchi Translucent Embossing paste and I am loving it! 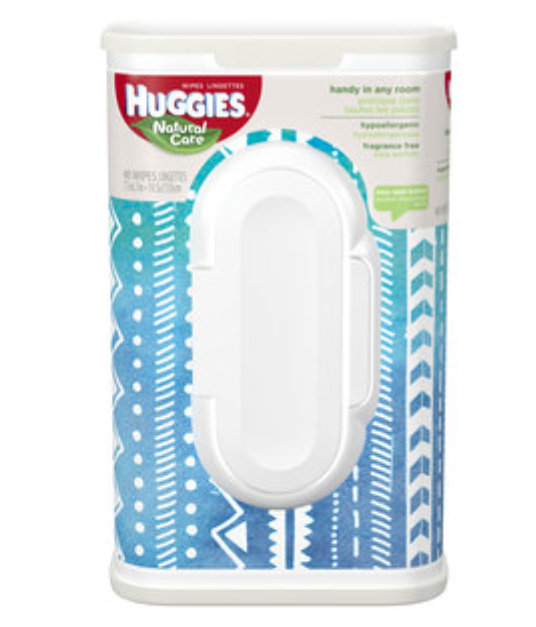 I'm using it today on my card along with the Hero Arts Bubble Confetti Stencil. The translucent paste with the stencil, over the ink blended background reminds me of bokeh or bubble effect. The background of the card was credited using the Mini Ink Blending tool with some Hero Arts Shadow Inks (in Tide Pool, Mint Julep, and Pale Tomato). I then used the translucent paster over the stencil and let it dry. The card was finished off with one of my favorite large sentiment stamp sets by Paper Smooches, Bold Buzzwords, and my current favorite embellishment - Enamel Dots! Its the 3rd Tuesday of the month and that means it Scrappy Moms Terrific Tuesday Challenge. If you haven't joined us before, please join in on the fun of the challenge! We'd love to have you play along with us :) TTC, as we call it for short, happens on the first and third Tuesday of each month. 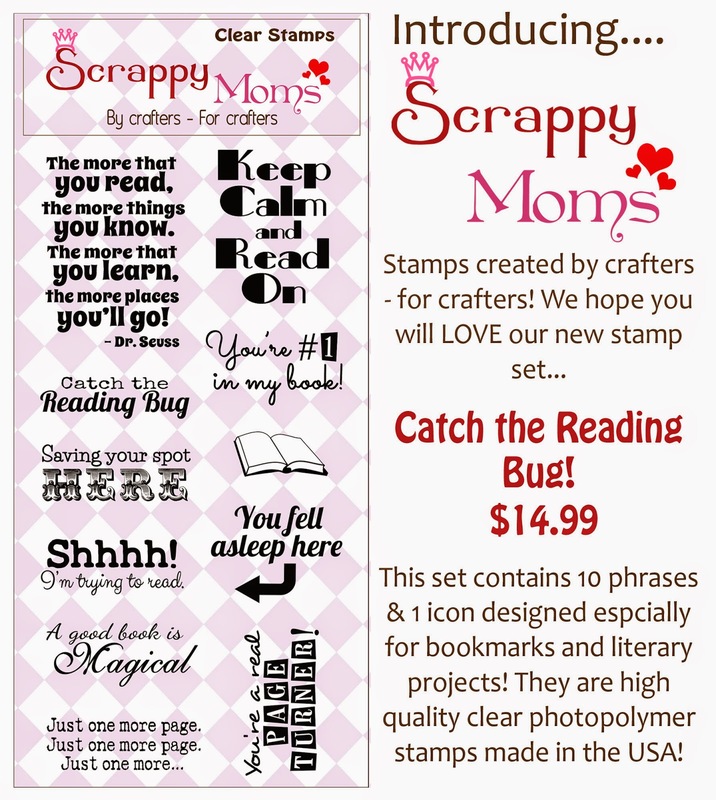 Be sure to check out the Scrappy Moms Blog to see the design teams great projects and to enter in on the challenge to win a Scrappy Moms Stamp Set of your choice. This weeks theme is "Hippity Hoppity!" 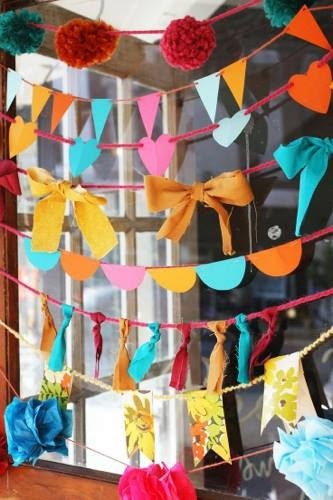 We'd love to see your Easter creations! For this challenge, I decided to undust my silhouette and cut out some festive eggs for my card. I cut some fringe in green to create a grass, added some twine and of course, enamel dots to finish this card! Hope you guys enjoyed! I hope you join in on the challenge and I'll see you back here soon! Hey Everyone and Happy Sunday!! 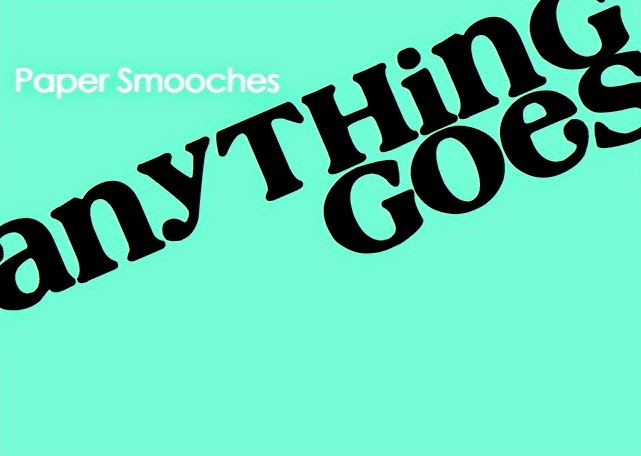 Today is week #2 of the Paper Smooches SPARKS Challenge. I used the Pinked Circles die (my new FAVORITES!) to create the banners on the card. Of course, I had to use my new favorite sentiment stamp set Bold Buzzwords not only for the sentiment but also some stars. Lastly, I used my Signo White Gel Pen for some accent and Ranger Black Glitter Embossing Powder for some fun sparkly. Hope you guys enjoyed this card. 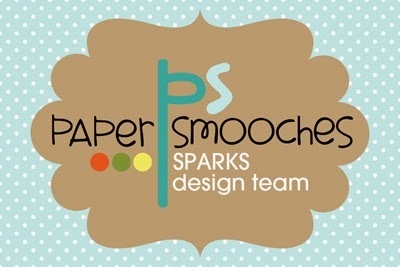 Be sure to head on over to Paper Smooches SPARKS Challenge Blog to join in on the challenge and view the other great projects by the design team. I'll see you back here soon!